Philadelphia Dental News Is Invisalign Right For Me? Are you unhappy with your smile? Do you wish you had straighter teeth? Invisalign might be the perfect option for you. 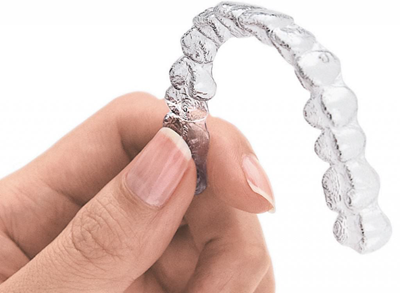 Rather than using traditional metal brackets and wires for orthodontic movement, Invisalign repositions your teeth by using a series of clear Aligners (trays). Invisalign therapy can range from 10 weeks to 1 year. The main factors that influence time of treatment are the amount of movement necessary and patient compliance. Greater tooth movement will require more Aligners in order to gently re-position the teeth. Compliance is also paramount. We recommend that the Aligners are only removed when drinking, eating, or brushing/flossing and worn at least 22 hours per day. 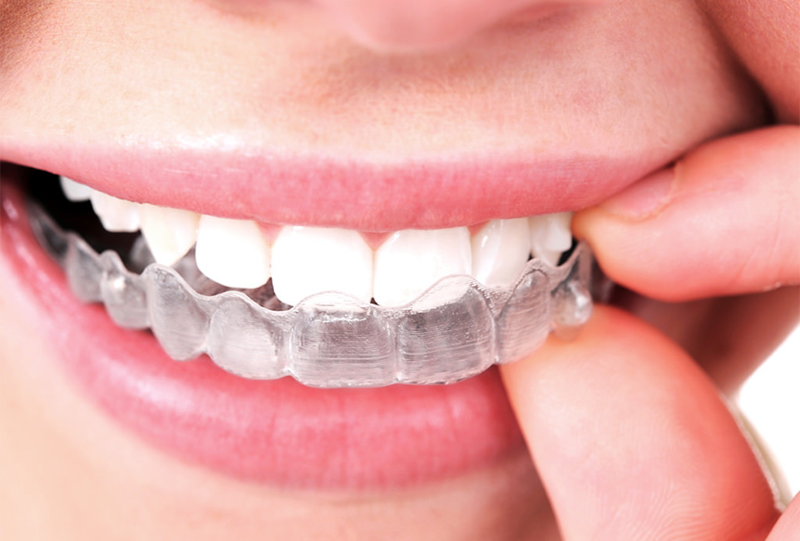 Most Invisalign cases can be completed by a general practitioner. In cases where more advanced movements are necessary, we recommend seeing an Orthodontist. Sometimes a combination of traditional braces and Invisalign provide the best results. Patients generally report mild soreness during the first few days of wearing a new Aligner. This is due to the gentle repositioning effect with every Aligner stage. Will People See My Aligners? The Aligners are clear but not invisible. However, most people will not even notice that you are wearing them. Sometimes certain teeth need to have clear bondings added to them in order to aid with the movement, and these are removed at the completion of treatment. Speaking with the Aligners may be awkward for the first 24 hours but patients generally adapt to them quickly. Do I Have to Wear Retainers for the Rest of My Life? The short answer is yes. Teeth can always relapse after being moved. We recommend the nightly use of retainers after Invisalign treatment to protect your investment and smile. Invisalign costs $4,750 for traditional therapy. Cases requiring very small movement can cost as little as $3,000. If you are a candidate for Invisalign, Corner Dentistry will schedule a consultation appointment. The appointment costs $100 and will consist of taking records (photos, impressions) to send to Invisalign in order to generate a treatment plan. If you choose to pursue treatment, the appointment fee is credited towards the cost of Invisalign. Financing options are available for as low as $199 per month and discounts are offered if treatment is paid in full.